This week we started watching Call the Midwife season five! We've waited for it quite a while, so when it finally came into our library, all the Call the Midwife fans in our family where thrilled. Amongst them, me. I love these series. They are so hartwarming, true, beautiful, and funny sometimes, sad, and also shocking so here and there. It just is a series to remember and cherish. If you haven't watched this yet, please do! It's great. I've also finished reading Agnes Grey this afternoon. It's written by Anne Brontë, and I didn't even know it existed until I saw it in the library. I already had some experience with Charlotte and Emily Brontë, and I was hesitating. I finished Jane Eyre once, but only after some ... struggle. And Wuthering Heights, let's not speak of that one. I didn't even finish it. It wasn't really what I liked reading, all the dark and gloomy characters, and settings, and events. But Agnes Grey was a thin little book, and I wondered how Anne Brontë would write, so I took it home with me. And to my suprise I liked it! From the very beginning Anne Brontë captured me with her vivid sentences and I went on reading and reading. I never liked a classic book as much as I liked Agnes Grey. Her style is very different from that of her sisters. Edward Weston, the 'hero', wasn't someone who locked his wife in a tower, or took revenge all the time. Quite the contrary; he was kind, caring, calm and, well, likeable. I can't really point out what was so special about Edward Weston that made me like him, but maybe it was the fact that he was so ... normal (Besides the fact that he was kind and all that). I also liked the main character, Agnes Grey. And the setting wasn't very gloomy, and the events weren't gloomy or dramatic either. Some where cheerful, there was a dog in it (Snap ), and meadows and sunshine, and Agnes Grey liked reading. Now I just have to read The Tenant of Wildfell Hall! 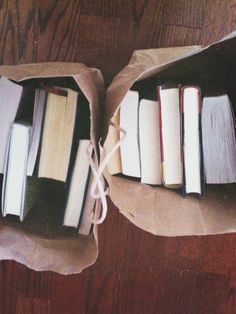 Have you ever read it, and is it enjoyable? I would love to know! 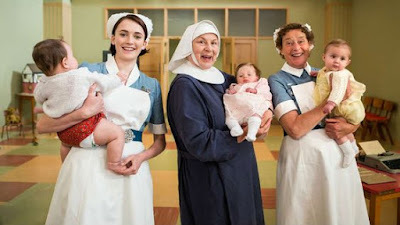 Call the Midwife is amazing!!!! Lovely post dear! By the way, I love your header!!!! Yes, it certainly is! O, thank you! The picture on the right is a bit blurry though, but well. :) Glad you like it.